When you post your request, please make sure to type a own subject, starting with the name of the game. Also please make for every game a own post, if you want to request more than one profile. Your Request will be deleted, when somebody has posted a profile for this game (or a profile with according to your special wishes). For replies, simply leave the "Re:" in front an then add the name of the game into the subject. Has anyone figured out how to map the Ion drum rocker for the 360 ? Looking to refine my xpadder set-up for Darkfall. Anybody? I tried the profile for the first game but...well it was kind of there but didn't work completely. I had a look at the tutorials, and I know how the keyboard is currently assigned for this game...but I must be being dumb because I cant get my head around sets etc. Has anyone got a profile for this game? Hey guys i am used to playing command and conquer 3 on the the 360. Any one have a profile that is similar to that layout? I have tried to figure one out but have had little success. FPS games are much easier to figure out for me than something this complicated. Thanks in advance! Does anyone have profiles for the Hitman games? Last edited by Primal Fear on 09 Sep 2012, 09:58, edited 2 times in total. Would anyone have a profile to share for Dungeon Lords? Does someone has a profile for this game? Anyone have a profile for this series? So I still haven't been able to something as responsive as the original xbox 360 button layout together. Any one willing to give it a try? Bump for interest, trying to make one now. Anyone have a good Xbox 360 controller profile for Prince of Persia: Warrior Within? I need a profile for the helicopters if you could uplaod one that would be cool. If not can someone help? Do i acutally need a controller for this? Also if i do can someone tell me how to do it? Hi! Does anyone have a profile for visual boy advance using the xbox 360 controller? I tried making my own and I'm failing pretty hard. I'm trying to play Final Fantasy V Advance and I can't get the controller to do the speed where they walk fast. I would be grateful if anyone could help me. Thank you. Hi I first would like to intoduce myself, I am kinda new on here, but I have really had to chance to see and use xpadder. I can say without a doubt it is one of the most user friendly well designed pieces of software have ever seen. One thing seems to be lacking though, I mean with how great this is you would think it would have more popularity and attention. However it does not seem to be the case, as most revert to pinnacle. I have noticed when it comes to game profiles, there simply is not that many here on the forums. I was hoping, that someone would maybe know a link and or profile for the game SWAT 4 and Americas Army 3. If so please assist me in locating, them, as I am not really very good at mapping buttons to particular key areas. As on keyboard and pc games so many to choose from. I would appreciate any at all help you can provide. It would be most appreciated, if thou wilt be willing to lend this. I assure you my thanks for you would be full. Last edited by Primal Fear on 12 Jan 2012, 11:30, edited 1 time in total. Hi all, please anyone makes a good profile for these games? I tried the Build-in controller optin, it works for infantry and tanks, but for jets, my 2 analog sticks just don't seem very responding, anyone know how set the control in game option or has a working profile for that? I have been trying to create one for myself but I just cant get a good one. Can someone please help me out and post some profiles I can try out. Thanks guys. Wings of Prey. Can't find a control profile at all...for this or any other flight simulator games for Madcattz controller please. Thanks. Puleeeze... if anybody has one of these it'd be muchly apprecimigated. Thought I'd make sure there isn't one floating around out there before I made one from scratch. Would like to hear if anyone knows of a game with similar bindings that may work as a template as well. Could someone create any RESIDENT EVIL or SILENT HILL classic games profiles? Can anyone help me to get a BF3 profile to use with my saitek x45 flight controllers to fly the jets and helicopters please ?? Did someone do a profilep for SL ? Microsoft Flight Simulator X or Microsoft Flight. hello, can anyone make a profile for lol? Can anyone upload there FFXIV profiles if any out there! would be much appreciated! Requesting a X3 Terran Conflict profile. Seen it requested a few times so I figured i'd ask again. Thanks! Requesting a DNF profile. Would love to have one! well... mechwarrior4 would be really fun to play with my controller.. I would very much like a profile for this game. I can not figure out how to use xpadder to save my life! lucagerevini wrote: Hi all, please anyone makes a good profile for these games? I also need a profile for Darksiders. I just recently got 1 and 2 for the PC. I installed them both and ended up trying 2 first. I started with my mouse and keyboard and decided that was not enough. So I pulled out my 360 controller and turned it on, restarted the game, and it automatically picked up the controller and had everything setup for it no problem. I was surprised, amazed, and happy about not having the headache! I played for a while and decided to switch to the original Darksiders so that I could get the full story in order since I had never played either one. So I booted up Darksiders 1, it also detected the controller. So I thought, great, no issues! YEA RIGHT! Like its ever that easy! I began the game and started to use some of the most basic controls (camera movement, enemy lock on, aiming mode, throwing, ect) and the controls were all screwed up. I couldnt do over half the stuff I should have been able to do. SO of course, Im trying to figure out a fix for it so I can get on with my games. I NEED HELP! If someone can help me make a profile or make one for me I would be so grateful! ANY HELP IS APPRECIATED!!!! TY! any chance to get a Profile for the winkawks? Sup guys, Torchlight II just released and I'm still nostalgic of the way the handled controls on the XBLA version. Is there any way to reproduce this? I would be very thankful, and willing to reward anyone who's up to the task! Shoogoo wrote: Sup guys, Torchlight II just released and I'm still nostalgic of the way the handled controls on the XBLA version. Torchlight II would be great - would love to see one made. Hi, just purchased Xpadder. Looking forward to using it to play some of my favorite older games! I understand that there is a patch for Warriors Orochi to make the 360 controller work in Windows 7, but it kills the camera control on the right analog stick... hoping someone already has a profile working. Anyone have a any total war profiles? I bought that pack on steam last week and want to play it on my tv. Looking for a profile for Jade Empire for the 360 pad which works similarly to the XBOX version controller layout. DCS Black Shark 2 and A10 Warthog would be awesome,for the 360 controller. Flying with left stick and manual instrument selection with right stick to move over the cockpit and right RT button to select highlighted item. Weapons could be face buttons(X,A,Y,B),along with flares etc.Rudders LB,RB or engines blah blah blah. I know they are very old games, but would like to see profiles made for these games. Has anyone got a game profile for Call of Duty Black Ops? is there something for League of legends in a ps3 afterglow controller? Working profile for Medal Of Honor Warfighter would be appreciated. Even though this game supports xbox 360 controller, I would like to be able to change some of the trigger/button assignments. Would love a profile for this game thx guys much aprechiated for both me and my buddy. It would be cool to have Hotline Miami. Since they had to remove the controller options until they fix them. Profile request for Tribes Ascend please. Game is keyboard only. 360 compatible or whatever. Thanks! Everyone who tryed to use joypads in this game, know why we need this blessed profile. BR1-2 don't seem to support the Xbox 360 controller, and same goes for The Suffering. Now, I know that the Onlive version of Bloodrayne 2 has some support, though I don't remember if BR1 is the same. Last edited by sentaifanatic on 08 Nov 2012, 01:25, edited 2 times in total. Hi all, it would be great if we could get a profile for subject game, for the Logitech Extreme 3D Pro. Would be wonderful if someone that has actual knowledge of xpadder (certainly not me) would make a profile for these games. Planetside 2 flying profile would be lovely. Yes they are supposed to work with controllers but many people, like myself are having trouble with either Deadlight simply not recognising my wireless 360 controller and Mark of the Ninja being messed up with buttons assigned to two or more functions. Hi all im aware that it is compatible with the controller out of the box however I HATE the knife button I am constantly pressing it in the middle of shooting and want desperatly to disable it all together through this wonderful xpadder application. Just a flying profile(360) would be great and I know the game says it supports a game pad but it does not. I would like to request a XBOX 360 profile for Singularity. Anybody have a profile for 360? Has a profile been made for Binary Domain ? Id like to request Path Of Exile game profile if its even possible Thanks! Do you have done some profile for this explorer game? Hi, folks, just wondering is anyone playing age of wushu or age of wulin? I've had problems trying to set a profile up for it on xpadder, the w bound to forward analog won't work for me? any working profiles out there? I've tried again to set up age of wushu with xpadder but there seems to be some sort of problem doing so, xpadder works with the other games i've tried but i was looking it specifically for age of wushu, has anyone any ideas?? svelic wrote: I would like to request a XBOX 360 profile for Singularity. It's a waste of time, isn't it ? A profile for Sims 3 would be nice. Specially because I have a laptop and no desk. Something that emulates the GRAW or Future Soldier controls would be nice. I need one profile for dead space 3. Some one??? For the controller of ps3! I was wondering if anyone has done a profile for Raiderz on an xbox 360 controller? Advent Rising if anyone has a profile around for it? I am really looking for a Dead Space 3 profile please. If anyone could provide one, or give me some steps to set it up i'd be eternally grateful. Please can someone create a profile using xbox 360 pad for this game, it's a free to play game. Anyone got a good Sleeping dogs profile? Arma III, and Hawken. Is possible please. Hawken works with my Cyborg rumblepad and xbox360 pad, but there is no rumble feedback and no option as far as I can see to enable it in game setings or in the ini 'input' file. Omikron : the nomad soul is available on the GOG store. Can anyone realize a profil for this game ??? Mechwarrior Online profile would be great thanks - with left trigger as accelerate/decelerate. Does anyone have a game profile for this game? I bought Virtua Tennis 4. if someone made the profile or you can know where to find.. I WOULD LOVE SOMEONE TO MAKE A PROFILE FOR STARFORGE. IM HAVING DIFFICULTYS!!! Hey all! Im looking for a "Entropia Universe" profile. This game is also known as "Planet Calypso". It's been out since 2003 and is a interesting mmorpg with real world money influences. Thanks! Mentioned before but still not listed, Mechwarrior Online profile please? I would love a MechWarrior Online Profile for Xbox 360 controller please! Anyone out there able to make one for Ragnarok Online 2? I can't seem to get Xpadder to work for this game. I'm searching a profile for Krater. Shadows over Solside. Does anyone have a profile for Batman Arkham city for a ps3 compatible pad, shows up as my gamepad 3 turbo. I nearly have one built but its not quite there yet. After picking both up in a recent steam sale, I've realized neither support gamepad compatabilty, would be awesome to have profile for these two games. Yes a MechWarrior: Online profile would be greatly appreciated! I love the game and love my Xbox controller so this would be an awesome combo! Unfortunately I am not technologically proficient so anybodies help would be greatly appreciated. I would be interested in testing it out and giving feedback to anybody who works on one! I would like to request one for "Rising Storm". Specifically a profile for flying spaceplanes and rockets on an Xbox 360 controller. I'm working on one myself, but I'm not very experienced with Xpadder, it might be a while. I'm trying to find something for this game. Bought it and now I can't play it, not very good at making profiles yet either but I keep trying. Thanks for all the great profiles. 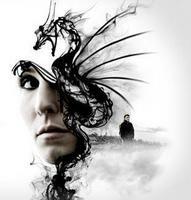 RobbinxDehood wrote: I'm trying to find something for this game. Bought it and now I can't play it, not very good at making profiles yet either but I keep trying. Thanks for all the great profiles. The Gary's Mod profile is a pretty good fit, just needs a few tweeks. Can anyone please make a profile for The Sims 3 using default XBOX 360 controller? It'd be much appreciated. I am having elbow pains from using the mouse and would be extremely grateful to use a joystick. I have also found a detailed button configuration from mouse/keyboard for The Sims 3 using (XBOX 360) controller. I just need someone to create it for me following this controller layout using Xpadder http://ryland3homes.wordpress.com/downl ... r-to-play/. Thank you if anyone picks up this profile. Has anyone been able to work out a fully functional controller for the PC xbox controller for need for speed underground 2 ? That's weird, I've played both games with the 360 controller and never had a problem. They were both designed for console and have really good control schemes built in. I would check your settings, you shouldn't need xpadder for those games. This game should have just had it built in, the game runs on Unity and when I turn on my controller the right stick already lets you look around. I'm going to try and make a profile but I thought I would check if someone knows of an existing one. This looks like a decent action RPG so far, just want to play more. Since I'm not the greatest at profiles I'll post it up here and maybe someone can help me tweak it. For Xbox 360 would be the awesome. Seriously would love a good profile setup for Age of wulin, I've just started playing it and the wasd seems to be working ok now, in the us version it didn't work, i'm currently setting up a profile for it myself, but someone with a little more mmo experience could probably do it a lot better. when i get mine set up i'll post. the game is very good, I'd advise for anyone into mmo's to give it a go, to get a pad working with it would be fantastic. anyone PS3 Controller for Borderlands 2?? I'd like to request it for APB Reloaded. Im looking for a great profile for this. Anyone doing a profile for this? Many thanks in advance if someone can do one. Last edited by rubenr99 on 09 Sep 2013, 07:42, edited 1 time in total. JHBorden wrote: For Xbox 360 would be the awesome. I'm very slowly working on one. I would like 360 support for this old DOS game. Thanks! For Xbox 360 controller. Thanks! i'm trying to find a profile for this game : omikron the nomad soul..
Could anyone who understands flight things like Elevators on airplanes (even though there isn't) please make sense of this for me onto a xbox 360 platform? Thanks! Looking for a profile for WORLD OF WARCRAFT with original xbox controller. Anyone please. With the left and right trigger working on axis rather than button keypress, of possible with such a game. There are 3 people who posted in a thread here LINK with there basic xbox controller set up. A bit vague but I think the jist is there. I like the 3rd layout (last set of binds posted), but think maybe the left trigger would be a good accelerate?. Use of throttle and thrusters very important to advanced flying (so I read). I have looked as deep as anyone but cannot seem to find any actual posted profiles. Many thanks if someone can. Does anyone have an Xbox 360 profile for Dragon Nest? I would like to request a profile for my SteelSeries 3G. I would like to note that it keeps linking my D-PAD with my Stick 1. One of those weird peeps that likes to play with a joystick and a mouse. Would anyone have a profile for this? Please please please build one for Battlefied 4 with a XBox 360 Controller. So many People are searching a Solution for this Game to play with Controller. I'm working on a profile for the Galactic Starfighter expansion dropping on Dec. 13. If anyone has already started one please share your setup. I will share what I have as soon as I have it mapped out on the PTS. Doesn't look too complex so someone must already have it. I heard someone has made one but I don't see it on here. I hope someone can use my XBOX 360 Controller with it. B button; its a drop shot which I am not real fond of. I rather have my normal crouch prone button. I am a total noob when it comes to xpadder. I have tried to set up a profile for Galactic but its not working that great;Please help. Just curious if anyone has set up profiles for any of the older Tomb Raider games (other than Tomb Raider I) for the Xbox 360 controller. I am going to have a go at making my own, but figured I'd ask in case someone's already got any made. I'm after a decent profile for use with newer 'point and click' games but older games such as the broken sword series. I'd like to request it for the Professional Farmer 2014. If any one has a profile for this combination. Would they please reply post here. Thankyou. I'd like to request IL-2 Sturmovik - Cliffs Of Dover profile for xbox360 Controller. Very difficult to map. I wish to hotkey something like "left click+mouse up" to "stick one up", to pan camera up, without the cursor moving up onscreen. I have the same issue with panning down, and using an auto-steer hotkey with a "mouse push direction input". Issue is, I cant hotkey camera panning to anything outside of the mouse "click and move" archetype (for up+down), and autosteer doesnt work well without mouse input. So Im forced to input a mouse direction into x-padder to achieve these ends. Usually, if I click my mouse and move the physical mouse, to pan the camera, the cursor on-screen will not move. I understand the input from x-padder works differently however, and I simply wish to configure it to not move my mouse, while using the mouse direction input. A full profile template would be spectacular, but if I could just get help on this I should be fine. Read in my tutorial here the section (MMO)RPG Camera Control, you will find there an explanation for this behavior and a solution for it. This Game has set the operation! This game does not exist anymore, unfortunately! Last edited by SuperGeri70 on 18 Jun 2014, 13:23, edited 1 time in total. I would like to see a xbox360 Controller Profile for "Humans must answer"
So I was wondering about how much easier it would be to handle certain aspects of Lightroom (5.3) with a wireless X360 Controller. Especially the Picture selecting process. I'm kind of certain, someone has created a working profile but I couldn't find it. At some point I'm probably trying to create one myself, but I'm not so good in it (bad actually) and also am not a Lightroom expert. Would take too much time with probably a bad result, so I thought if one of you could point me to a nice profile... Thx for reading! Anyone have a profile for this? And/or can you point me in the right direction for one? I have just recently started with PC gaming and I have JUST bought a SteelSeries 3GC controller. I have NO idea how to really do this. And to use the profile, would I use the PS2, PS3 od XBOX format for the profile? HELP!! Last edited by Hipporider on 26 Dec 2014, 05:54, edited 1 time in total. Does anyone have a workable profile for Bioshock Infinite? I really like league of legends but im really bad with a keyboard having the different abilites and active effects from items.... I can never locate the ones i neeed in a heated battle. With an xbox controller I'd feel alot more confident going in there. It should be possible with 15 components of controls in LoL and 18 buttons on an xbox controller it should be possible. Anyone want to try? I dont understand how to make them.... Please and Thank you. arranzgil wrote: Do you have done some profile for this explorer game? Wouldn't be a bad idea to make a generic MMO profile considering all of the ones out as well as coming. nquinn91 wrote: Specifically a profile for flying spaceplanes and rockets on an Xbox 360 controller. I'm working on one myself, but I'm not very experienced with Xpadder, it might be a while. Profile Request: Planet Explorers for Xbox 360 Controller. I would like to request from one or more of you smart people to create a Planet Explorers profile for Xbox 360 controller. found 1 profile but have of it was either corrupted or not compatible with paid version, looking for a profile for the new MMO coming out. Does anyone have a good xbox controller profile for Wildstar Online? Goto YouTube type/copy past- "How To Play WildStar With A Controller (PC)" Uploaded by jkkennedytv and download his profile located in the show more info under his video. The profile is amazing and game runs flawless make sure to follow his 3 or 4 steps inside the game so movement works perfect. Have fun!! and share with others on here please. 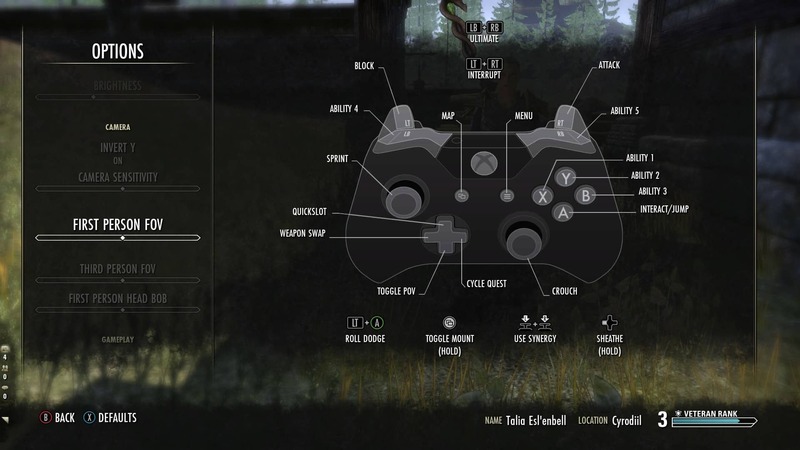 Steam "The Stomping Land" Xbox 360 controller profile please. Thanks! davis.s54 wrote: I can see I am way down the list here. Well anywho mine is Ghost Recon Phantoms for (pc) - thanks! i just posted one for phantoms for the 360 controller http://xpadder.com/forum4/viewtopic.php?f=9&t=5310&p=21108&hilit=ghost+recon#p21108. Try it out and let me know what you think. Last edited by skudmissal on 09 Jun 2014, 19:39, edited 1 time in total. Cerpintaxt wrote: I have just bought xpadder basically to play neverwinter while chlling in bed. But as soon as i open up arc and try to play neverwinter the xbox controller stops working instantly!?!?!? Any help on this would be appreciated even if its not a profile i can make on myself if i could just get around this! I had this same problem with arc. my solution was run Xpadder as Administrator. To make this permanent, Right click the xpadder icon and select Properties. Click the Compatibility tab, and select "Run as Administrator" at the bottom of the window. I have also provided controller profiles with emotes in the Game Profiles forum for the X360 http://www.xpadder.com/forum4/viewtopic.php?f=9&t=5291 and and Rock Candy PS3 http://www.xpadder.com/forum4/viewtopic.php?f=9&t=5295 controllers. let me know what you think of those. Last edited by skudmissal on 08 Dec 2015, 20:47, edited 1 time in total. i have made a prety good set up and it works great in sigleplayer.... but when i go online... its like the controler was unplugged.... any ideas? Arkham Origins and/or the original. Euro Truck Simulator 2 Online Multiplayer? How that? But I would recommend running Xpadder as admin. Edit: When I think about, it has native controller support for any controller. Why Xpadder, except for some additional functions (tap/hold, sets)? FieldlyFreak87 wrote: Arkham Origins and/or the original. For what controller, Xinput compatible ones should work by default. Last edited by SuperGeri70 on 25 Jun 2015, 20:20, edited 6 times in total. I would really, really appreciate a profile for 'The Ship'. It can be picked up for a real cheap price too! hi everyone, someone here create a game profile for dead island epidermic? Hi can someone make or have a profile for the game Borderlands 2? I know the game has controller support but it is not working on my pc. So if someone has a profile for it that it is like on the 360 i would be very thankfull. Space Engineers, Beasts of Prey. Looking for a profile for the Steam games Space Engineers & Beasts of Prey for the Xbox 360 controller. Thanks. Hello, does anyone have a profile for The Forest for PC ? Hi, I'm looking for a profile for both controllers for first version of Metal Slug. Well I just both xpadder hoping I would be able to play with my xbox 360 controller but I'm having problems setting it up. Hey guys. I am requesting a DW8 profile cause the native support through steam is kinda funky. The left stick is weird and makes movement unpredictable sometimes. Hard to kill 800 enemies if I cant control where I'm running. Thanks! I would like to request a gamer profile for Path of Exile for Xbox 360 controller please! Would love a good chivalry profile. Im using 360 controller. Replicators wrote: I know they are very old games, but would like to see profiles made for these games. I've added profiles for the Xbox controller for WC 1-3. They are fairly complex initially, but work well. Give them a shot. I have also made one for part 4, but am waiting to test it out later. Will post it later. Meanwhile, enjoy 1-3. JonnyReDHeD wrote: Mechwarrior Online profile would be great thanks - with left trigger as accelerate/decelerate. Can anyone point me in the right direction for Batman Arkham Origins profile for 360 controller layout? Can someone please make a x360 or xbox One controller profile for Elite Dangerous. I've seen that a few people requested this in the past. Figured I'd bump it. I'm a long time player of Diablo III (since launch) and RoS on Xbox 360. I've tried the various versions currently available and none match the patterns of the Xbox 360 Console version. Looking for a profile for conflict desert storm for logitech dual action. hey man i have used the profile from dayz standalone. its need some fixes but it is a good base for h1z1. iam fine after switch some buttons. I have experimented with some of the Arma and Dayz profiles to find that the Dayz profiles almost match perfectly. A key for the "E" search keyboard key is the only missing feature that needs binding to a button on the controller. So if any of you with know how to create profiles please check this out . Also a Profile for "The Forest" would be cool . Yeah I've been playing around with the DayZ profile as well, but have trouble remapping the PTT button and some of the emojis (F11 needs badly to be bound for PVP purposes lol) but aside from those 2, the profile does fit quite well I agree. 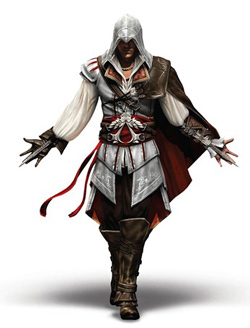 Do you have Assasin's creed Brorherhood profile for controller xbox 360 (pc) , i try a few but nothing work. mass effect 3 info ???? Its be wonderfulll if you can give me the good mass effect 3 profile for my xbox 360 pc (wifi connection) with the images explaining each key touchs. Looking for a profile that matches the official console mapping for Xbox360. Wanted to play again my good old original mdk 2. It was my most favorite. If you can make it work with xbox 360 controller. It will be awesome. looking for generic emulator profiles, for example generic profile for fusion364, ePSXe ect, or is there a better way to go about it? I'm looking for a PS4 controller map for Terraria where L2 and R2 cycle 1-0 or 0-1 but can stop midway and go back down (ex: tap R2 7 time to get to 7 and when I tap L2 goes to 6) and with a bound box for the mouse. Is it possible to use the touch part for the PS4 controller as a mouse pad? Basically a map that's exactly like the Playstation version. Would like for the other Doom variants as well. Will one profile work on all? Stranded deep, does anyone have a good profile for this? Battlefield 4 please! Have started gaming after many years. I know that the pundits say that a keyboard/mouse player will always win but I want to standardise and am really at the stage of playing with myself(!) and have a very slow ping. So, a BF4 template would be much appreciated! Any body here play banner saga and have a 360 controller? after SF4 U profile for steam, many thanks. I tried messing around with the existentialegg dayz profile but its pretty clunky, If anyone with more skill in this program wants to have a go that would be sweet. Please Please Please, can anyone write a profile for "WARFACE" ? "WARFACE" a Xbox360-Controller Game-Profile ! I've looked for it, but not found! I myself have tried to create a profile, but it does not seem to work properly! It would be great if someone would have a for me! Please, Please quickly create a profile, I need it soon! If possible with German inscription! Please help me to mapping my touch controller from tablet to PC using xpadder, the game is a game online calls arcane legends from spacetimestudious.com. Note : currently i can mapping general button from keyboard controller to my ps3 controller, but when playing in pc theres alot place in touchscreen (tablet) i cant mapped. Is there anyway i can do to mappping touchscreen via xpadder (in PC). (example. using sixaxis controller + ps3 controller on tablet). as he said, please make a profile for Grand Theft Auto 5, really pleasee !! "TEAM FORTRESS 2" Gameprofil for Xbox360-Controller, please please please! According to Steam, Grand Theft Auto 5 has full controller support and Team Fortress 2 has partial controller support. Hey , this is a great game , I us a Logitech F710 controller and it just will not link with this game. First off I'm fairly new to PS4. Been playing ESO on it since release with not too much of a problem. recipe to find what you want, especially getting to the drinks. Most of the crafting is like that. mouse one better with just one control. Anyway I would like to try Xpadder with the pc version of the game. would be nice. I basically would like to have all or at least most of the PC controls on the controller. which is easier to configure ?. I would love to see a profile done for Dungeon Fighter Online! It is a very popular game but I find it is hard to map it for a Xbox 360 controller. I am looking for a Daggerfall profile for a 360 controller. i have made a prety good set up and it works great in singleplayer.... but when i go online... its like the controller was unplugged.... any ideas? You must run Xpadder as administrator. Right click the icon and select Properties, Compatibility Tab, check box for "Run this program as an Administrator" all done. Are there any Xpadder profiles for Squad? It's in Alpha and on Steam now. "Hipporider "Are there any Xpadder profiles for Squad? It's in Alpha and on Steam now. You need to disable the in engine controller support as this effects, disrupts the button press inputs from Xpadder, This can be found in C:/ User/Owner/AppData/Local/Squad/Saved/Config/WindowsNoEditor/Input Ini. Looking for a good Blade and Soul controller profile as the ingame one is terrible at present. dewi316 wrote: "Hipporider "Are there any Xpadder profiles for Squad? It's in Alpha and on Steam now. Desperate for a Profile for this game - please. Been trying to get controller support for Riders of Icarus to work for the last two days using my wired xbox360 controller as a Steam Controller in Steam's Big Picture Mode. As soon as the game starts it reverts to the keyboard and mouse configuration. I've been using Xpadder since 2013 for games like Oblivion and Morrowind without any issues whatsoever, so i'd like to do the same for Riders of Icarus. Does anyone have a good profile i could use or is willing to create one for that game? It would truly be appreciated. I need/search a controller profile for "Ring of Elysium" for XboxOne controller!